Low deposit? No deposit? Think you can’t buy a house, flat or apartment? Think again. LVR restrictions are expected to continue easing, hopefully making it easier for you to reach your first-home dreams, or continue to invest in the housing market. Canstar takes a look at some tips on how to get around the LVR rules. LVR or loan-to-value ratio is, in essence, the amount a bank lends for a house against the price of the property itself, in a percentage form. So, if you put down a deposit of 20%, then the loan-to-value ratio is 80%. 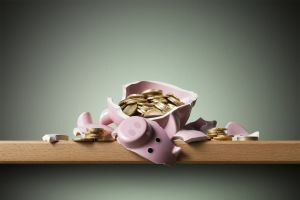 These restrictions provide a buffer in the face of a recession, which would particularly affect home owners and investors who are highly in debt. 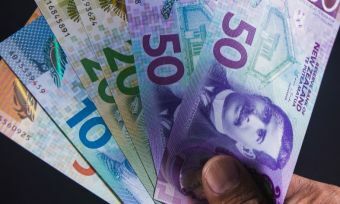 The Reserve Bank of New Zealand (RBNZ) introduced LVR restrictions in October 2013, which prevented banks from lending more than 80% of the value of a home. These changes may have added strain to first home buyers. There have been a few adjustments to these LVR restrictions since then and the most recent changes could mean things are looking up for first home buyers looking to enter the property market! Even after RBNZ’s 2013 announcement on restricting loans to buyers with a deposit of less than 20%, banks have still been able to lend low deposit home loans; it’s just a matter of how many of those loans they can approve. There have been a number of changes to the LVR rules since they were first introduced. And with the new year, comes more adjustments. As of 1 January 2019, LVR rules state up to 20% of a bank’s new lending to owner occupiers can be for low deposit loans (deposits below 20%) (up from 15%). Borrowers are still required to go through assessments before being lent money. However, this easing of the LVR rules is expected to increase even further. RBNZ constantly reviews the rules against the current economic environment. While there are currently high debt levels in New Zealand, these levels are not worsening. As a result, RBNZ sees LVR rules easing in the coming years, Head of Financial Stability at RBNZ, Geoff Bascand, said in a recent speech at the USB Australasia Conference in November. If you only have enough for a 10% home deposit, the Welcome Home Loan – supported by Housing New Zealand – is here to save the day. Looking at the statistics, it’s not surprising people are finding it difficult to save for a deposit. But you can get around LVR rules by applying for a Welcome Home Loan which accepts a 10% home deposit from first home buyers. This means for the median house cost of $560, 000 you’d need to save $56 000 instead of a hefty $112 000 with a 20% deposit. There is a cap on the amount you can borrow, as well as income caps, so take a look at the eligibility requirements here. Although Housing New Zealand supports the Welcome Home Loan, it is actually issued by the home loan lenders, so see if they offer it and if you meet their criteria! Housing associations such as the New Zealand Housing Foundation allow you to buy part of a house, but live in the whole thing yourself. Similar to owning the house outright, the deal is rent-free and you organise your mortgage with a normal home loan lender yourself, except with some support from The Housing Foundation. Ownership is shared with the association until you have the money to buy the whole house. It is quite flexible in the fact you can increase your ownership percent whenever you choose and if you feel the need to break from the deal, you can do so by selling your share. And better yet, there is no fee on the share the housing association owns. This is a great way to gain equity if you don’t have the money to buy a house yet! You still need a 20% deposit with KiwiSaver. But plenty of people aren’t aware that they can withdraw their own savings and their employers’ contributions from KiwiSaver when they buy their first home. If you’re purchasing an existing home, the HomeStart grant can give you between $3000 and $5000. Each thousand represents a year contributing, so you have to of been contributing for at least three years. If you’re building or buying a new house, then the HomeStart grant doubles to between $6000 and $10 000. Be mindful of the housing price caps and incomes caps, though. You must be earning less than $85 000 a year as an individual or less than $130 000 a year as a couple, to be eligible for a HomeStart grant. If you’re lucky enough to have parents who are willing to help you with the deposit or have inherited money then be very grateful. However, often banks still want evidence that you’ve saved some of the deposit yourself. They argue that if you can’t save anything towards a mortgage you may not be that great at making monthly repayments. So make sure you’re financially capable of making mortgage payments before jumping the gun. Mortgage brokers know how the system works. They are aware which banks are willing to lend on lower deposits at any one time. I shouldn’t say this, but they can sometimes tell you how to get around the rules about having to have saved the deposit. What’s more, they can also plead your case. Although, mortgage brokers do need to make money and that comes from your pocket so if you’re simply wanting to find low-interest rate mortgages, take a look at our comparisons for free. Credit Unions aren’t controlled by the LVR restrictions, so we’ve got some good news for you. NZCU Baywide now accepts just 5% for home loan deposits and lends up to $600 000, as reported by stuff.co.nz. This applies to anyone outside of Auckland and Hamilton but NZCU Auckland also has other deals, where a 20% house deposit is not required. 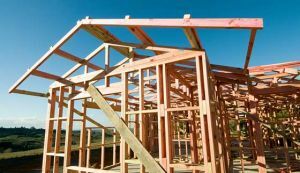 New homes are exempt from the RBNZ’s LVR restrictions. 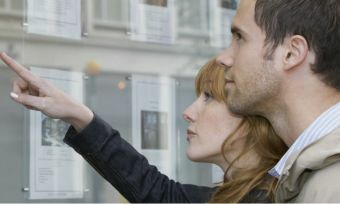 This is a bit of a double-edged sword as new homes tend to be more expensive than existing homes. But this exemption is good for people who want to buy a new home, anyway. Finally, beware of what you wish for. Sometimes if you borrow more than 80% of the value of the home you’re subject to a hidden cost called a low equity premium (AKA mortgage lenders insurance or mortgage indemnity insurance). It may be worth saving a little extra to avoid this.